Oxford at the Clarendon Press | Oxford University Press, 1992. Book. Very Good. Hardcover. 8vo - over 7¾ - 9¾" tall. Hardback with dust jacket. Reprint of the 2nd edition. 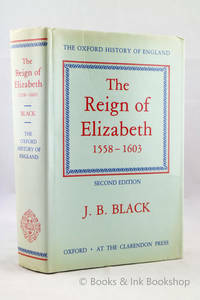 Original dark blue boards; just lightly bruised spine ends, light bruising to the dust jacket edges and a minor bump to the middle of the top outer closed textblock page edge. A mild lean to the spine. Otherwise very good, clean and tight. Binding is firm. No previous owner's names, inscriptions or other marks. pp. xxvi, 539, maps and tables. A HEAVY book - a postage surcharge will apply to delivery destinations outside the UK as this book costs more to send than our standard postage rate will cover. NO additional charges for sending within the UK..